Summer is approaching and teens will be spending more time online – and possibly be making purchases such as iTunes, Netflix or other items that they have parent permission to buy. It is imperative they know how to make safe cyber-purchases. Like TV, the Internet targets kids with advertising, giving them plenty of opportunities to shop online, even if they’re not intending to. As parents, you need to make sure your kids are making good choices when it comes to online purchases, and the best way to do this is to talk and set some parameters. 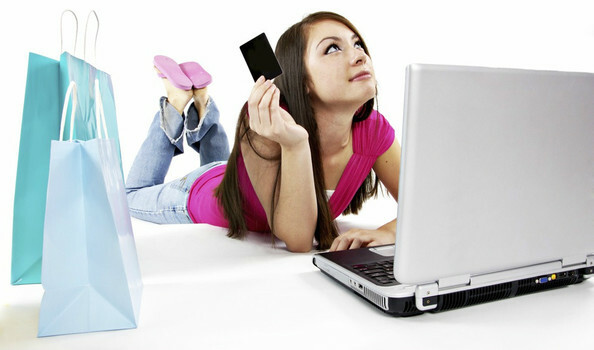 Before your kids start making online purchases, talk with them. Let them know what information is okay to give out and what’s not. Just like so many facets of the Internet, it’s essential for your kids to know the difference. Discuss what personal information is okay to provide; this will differ depending on their age. Younger kids should never give out any information, and it’s okay for older kids to give pertinent billing information only if they are buying something with your permission. They should never give out personal financial information or social security numbers. Let your kids know to come to you so you can help them make the purchases. Plus, depending on their age, they should probably be asking permission before buying anything. Another thing to communicate to your child is that if he or she is playing online and things come up like “add to shopping cart” or “accepts credit cards,” it’s time to alert you. Instead of giving out credit card numbers to set up accounts, use gift cards. A lot of kids love buying apps–let them use iTunes gift cards. That way, they can monitor their spending, and you won’t end up seeing surprise totals on your credit card bills. It will also encourage responsible spending. You wouldn’t send your eight-year-old into the mall alone with your credit cards; you shouldn’t let your kids have free reign online. Talk about this and how it’s important to sit down and shop together. Maybe they can browse around a little without you on safe, approved sites, but when it comes time for buying, do it together. The younger kids are, the more online supervision they’ll need. A teen can have more freedom (but still be safe) than a younger child. A lot of kid-friendly “free” sites are actually sites where you can buy memberships to get more options. If your child likes certain sites for playing, look into them and see if they offer memberships and what it entails. If you’re okay with this, go through the membership together to sign up with your child (you often have to approve this anyway). If you’re not okay with this, explain why. Maybe you don’t want another monthly fee or you don’t think it’s necessary. Often you can still play, you just don’t get ALL the benefits, but that’s a good life lesson. Even some apparently free apps will offer things you can buy to make it more fun or a better experience. Discuss with your child if they really think it’s necessary, and go from there. The Internet offers a lot of fun sites for kids to play and stores to shop in. But it also harbors dangers, whether financial ones or others, and kids need to know what safety precautions to take. Let them know your parameters and values, and they can start making good, safe shopping choices from the beginning. Contributor: Heather Legg is a writer who blogs about Internet safety, parenting tips, and healthy lifestyles.